Fixed a race condition causing some file browser actions to fail on Windows hosts at times. 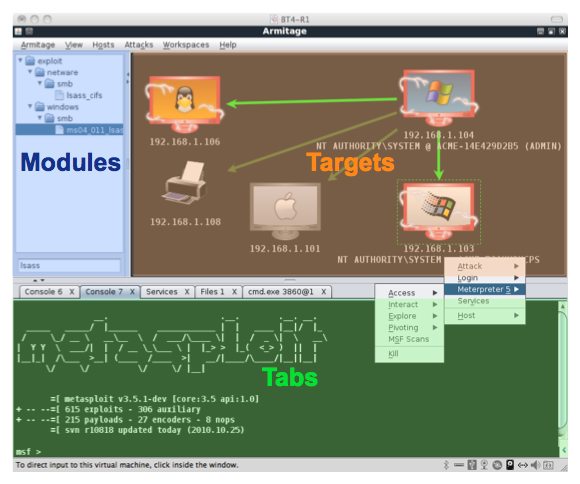 Added Post Modules item to Meterpreter N -> Explore and Shell N menus. This menu item will show applicable post-exploitation modules in the module browser. Loot browser now opens loot viewer as a tab. Loot viewer now has many of the same keyboard shortcuts as a console tab. You can Ctrl+F to search for stuff, Ctrl+Plus/Minus to increase and shrink the font, and Ctrl+A to select everything.